The HDFS Department and the College of Human Sciences value collaboration that facilitates the translation of research to real-world solutions for families and individuals. Besides collaborating on research projects, we engage in multiple collaborative professional education and dissemination activities. The mission of the CFR is to create and disseminate scientific knowledge that builds to programmatic and policy solutions that promote individual and family resilience. I have been the Associate Director for Education and Translation at the Center for Family Resilience since 2012. The goal of the Education and Translation is to help the dissemination of acquired knowledge and the transfer of that knowledge to everyday professional practice. Visit the CFR website to learn more. I enjoy making table decorations every year,inspired by the theme of resilience. Authoritative Parenting: Synthesizing Nurturance and Discipline for Optimal Child Development. development. Washington, DC: American Psychological Association Press. The CFR has signed a contract with Springer Publishers, formalizing plans for a book series titled Emerging Issues in Individual and Family Resilience. One book in the series will be published annually, based on papers presented at the Chautauqua Conference on Family Resilience. I am series co-editor with Human Sciences Dean Stephan Wilson, and various members of the OSU Human Sciences College will be volume editors. 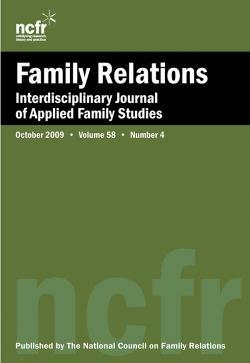 To disseminate research-based knowledge about family resilience across academic disciplines such as family studies, human development, psychology, sociology, social work, education, religious studies, nutritional science, law, and medicine. To facilitate the development of evidence-based resilience practices, programs, and policies for those working with families at risk. Hardback and e-book versions of each volume are available for purchase. Individual e-chapters may also be purchased. Volume 1 is based on the papers presented at the 2014 Chautauqua - Conference on Family Resilience and is titled, Family Resilience and Chronic Illness: Interdisciplinary and Translational Perspectives. The Table of Contents and purchasing options can be viewed here. Volume 2 is based on the papers presented at the 2015 Chautauqua and was published in 2017. The book is titled, Family Caregiving: Fostering Resilience Across the Life. The Table of Contents and purchasing options can be viewed here. 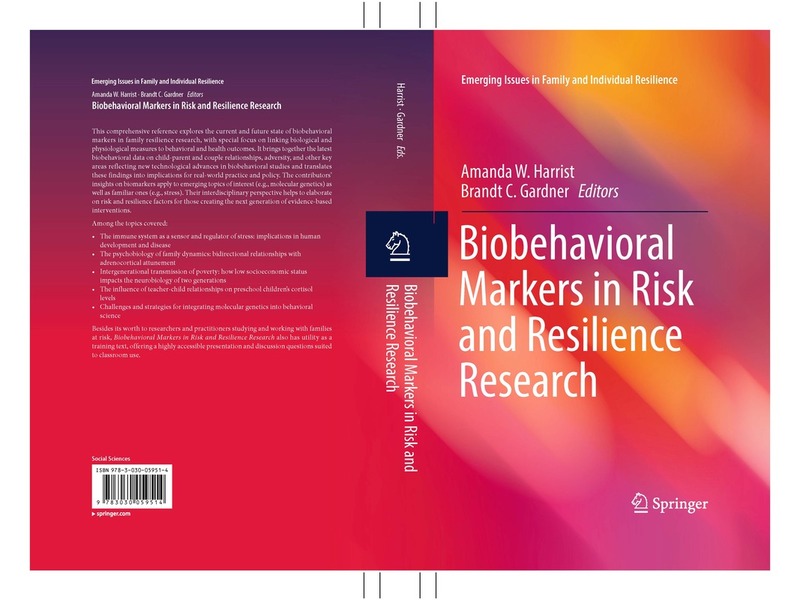 Volume 3 is based on the papers presented at the 2016 Chautauqua and is titled, Biobehavioral Markers in Risk and Resilience Research. The Table of Contents and purchasing options can be viewed here. Volume 4 is based on our 2018 will be titled, Resilience and the Community: How to Build Resilient Communities and How Communities Build Resilient Families, and should be in print Summer-Fall 2019. Volume 5 will be based on our 2019 Chautauqua titled, FAMILY RESILIENCE AND RECOVERY:OPIOIDS AND OTHER ADDICTIONS.